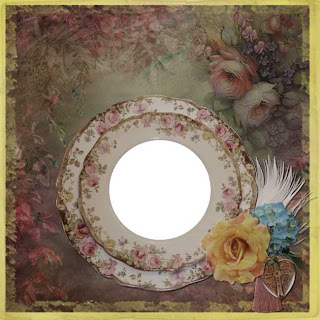 I just LOVE the elegant beauty of this kit - it's almost like I'm so "careful" using it - just as I would be holding the actual items in an antique store. My grandmother always had the scent of flowers when I gave her hugs; this reminds me so much of her; delicate, beautiful, very feminine, and yet very vibrant. 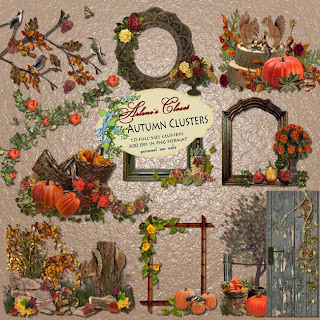 Arlene sure has captured that feel in her lovely clusters - here's another one she made to share with you. Click on preview for download link .. and THANK YOU ARLENE! 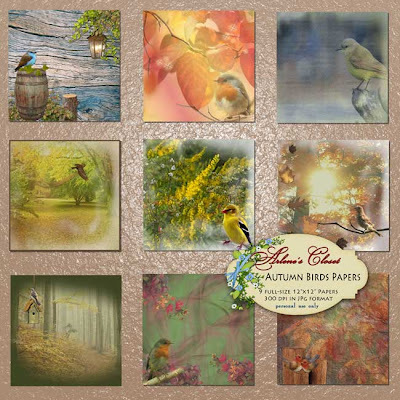 Arlene's new AUTUMN BIRDS Paper Kit and FREEBIE! 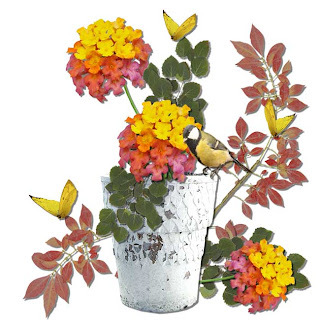 What a beautiful way to showcase your photos or correspondence papers! 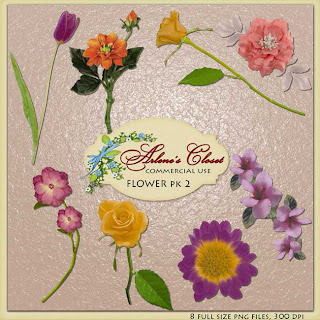 These nine originally designed, one-of-a-kind backgrounds are all 12"x12" in 300 dpi resolution for superb printing results. As always, Arlene has provided a beautiful cluster that would look spectacular paired with any of these papers - THANK YOU ARLENE! 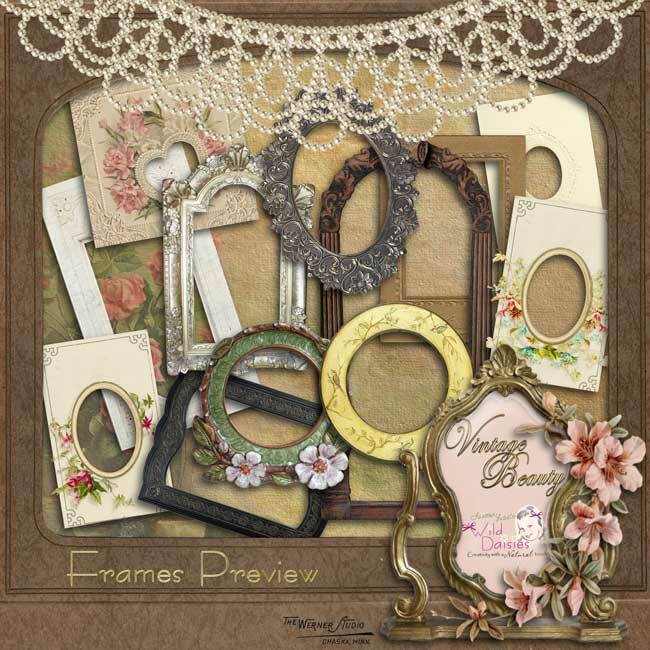 Arlene's new FRAMES + CLUSTERS KIT and FREEBIE! 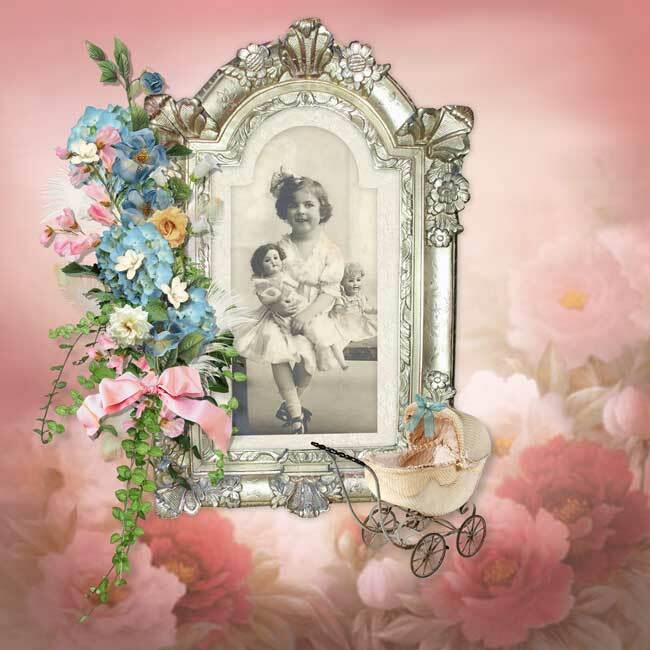 Arlene has come up with an absolutely GORGEOUS kit of 10 clusters and frames - take a peek! 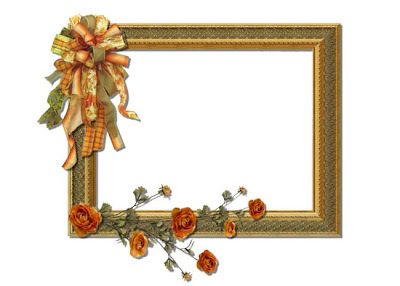 What a great way to get a quick start on your Autumn scrapbooks, or even some recipe cards, personal greeting cards, or whatever you'd like to dress up a little bit for the season. 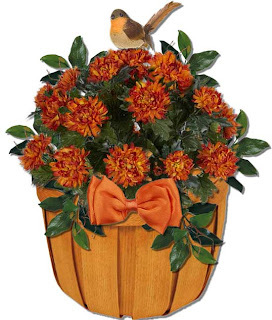 With the general Autumn theme, they can be used just about anywhere. LOVELY JOB, ARLENE! And, as usual, Arlene has been so generous and included a bonus Frame Cluster for FREE - just click on the preview below for download link. Happy Friday! FREE Little Prince Clusters! Hello strangers! To clarify - YOU aren't strange ... I have been lately! I don't know why I haven't gotten around to posting more freebies yet, I guess I have Fall Fever and want to spend too much time outdoors in this beautiful weather. I've been busy taking more photos to use for some Autumn-themed kits as you'll see in a few days - fun stuff. 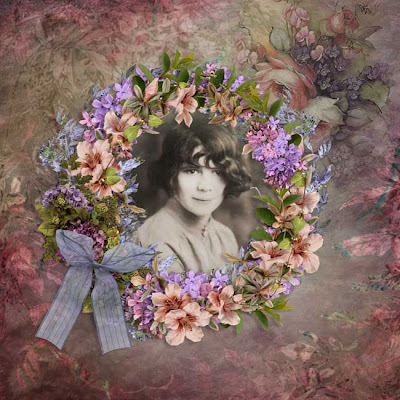 Until then, Arlene has so generously donated a few more of her beautiful clusters from the Little Prince kit, which was this month's FREE kit prize at the Photo Potluck challenge at the forum. There will be another FREE kit (and mini kit) given away in October at this challenge - check out the details on SATURDAY at the Forum (click link in header or click HERE). BLOG TRAIN with FREEBIES is HERE!!! Woo Hoo! The DigiSisters blog train is rolling in today! 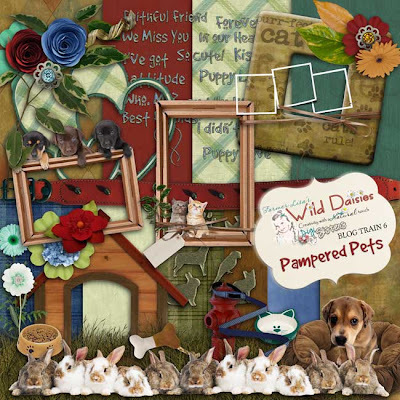 Our theme this month is "Pampered Pets" - be sure to stop at all of the blogs to get all of the goodies! The train stops are listed below the freebie. Thanks for stopping by! Check back later - there are more goodies coming your way! 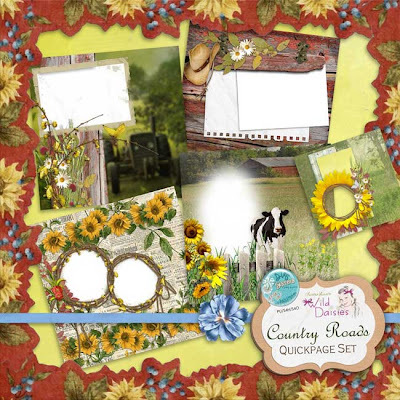 Country Roads FREEBIE Cluster from Arlene and NEW QP SET! 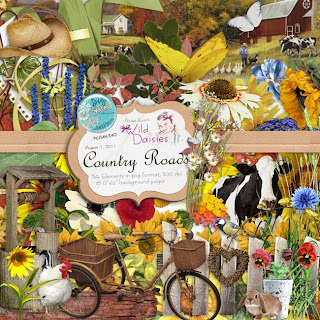 I REALLY like this Country Roads kit - I had some fun with it and made a QuickPage set. Hope you like it! It's on sale now in the store for only $2 - you get all 5 QPs! 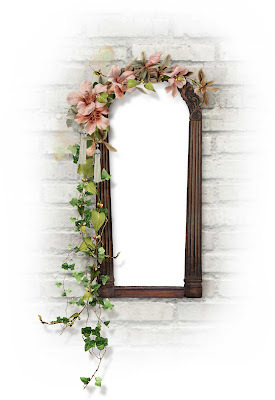 They would give you a great start - or finish - to your summer photo scrapping. You can pick them up HERE, or you can see all of the goodies by clicking on the NEW "SHOP" link in the NEW header of this blog! Be sure to check out the DigiSisters Gallery (see link at top of page in NEW header) - there are some great layouts using this kit as well as many of the other kits - some VERY talented people to get great ideas from - you can start YOUR gallery there too - it's FREE! There are times I wonder if Arlene is really human - she has way too much talent for one person! 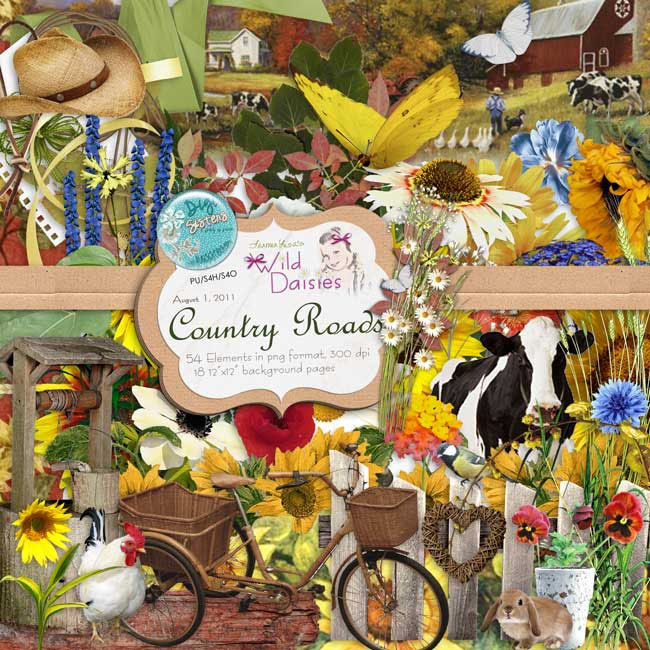 Here's another of the Country Roads clusters she made - I LOVE IT! 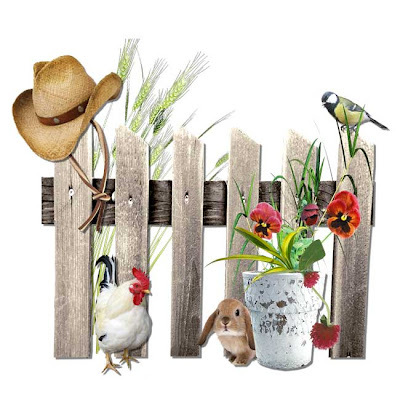 I'm kind of a country girl ... and this is SO my style! 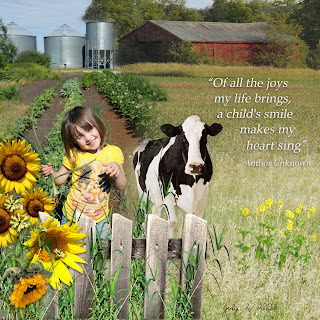 We don't have animals on our farm (unless you count cats!) but this is so perfectly fitting for my photos! Now ... which one will I use it for??? You can use it for any of your photos - just click the preview below for download link, and then you can pick up the whole kit if you want at the store! Click on the NEW link in the NEW header of this blog (cool, huh?) 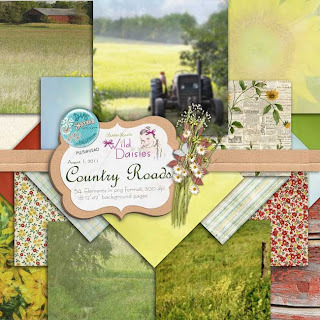 or click HERE for direct link to the Country Roads kit. Thanks for visiting! 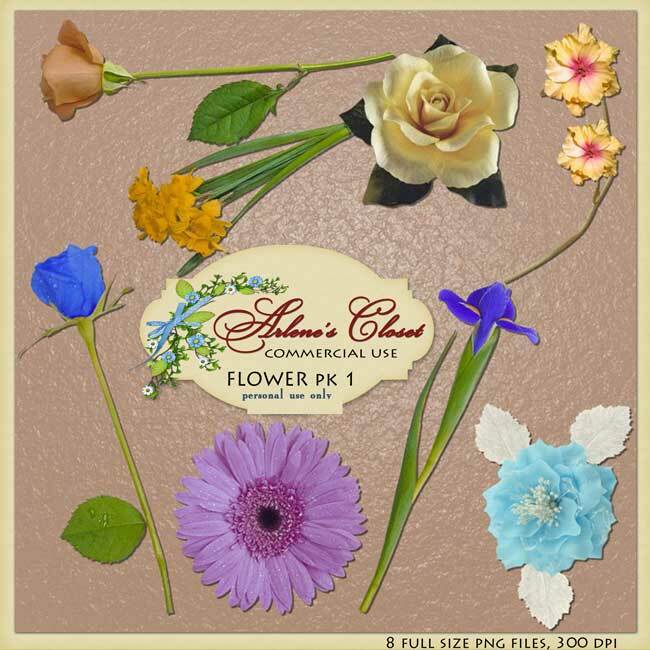 These "Little Prince" clusters from Arlene just keep getting cuter! 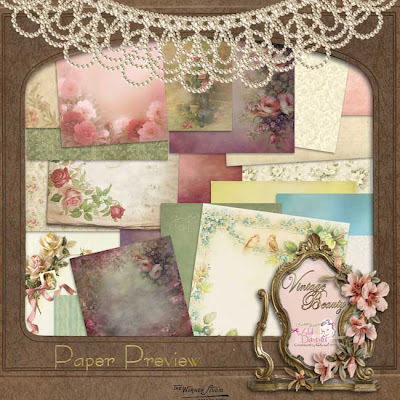 Here's another one to go along with the scrapbooking kit you can get HERE - check out all of the cute matching papers too! THANK YOU AGAIN, ARLENE - you are the QUEEN of Clusters! Cleaning out the Closet ... FREEBIE for Country Roads from Arlene! 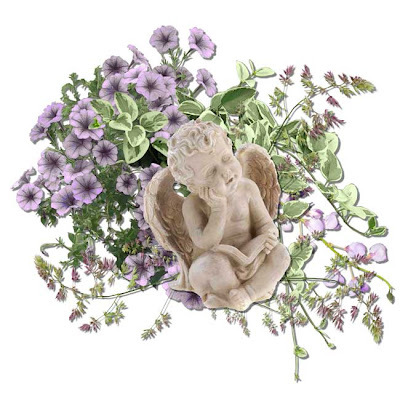 Click on preview for download link ... How CUTE is this??? 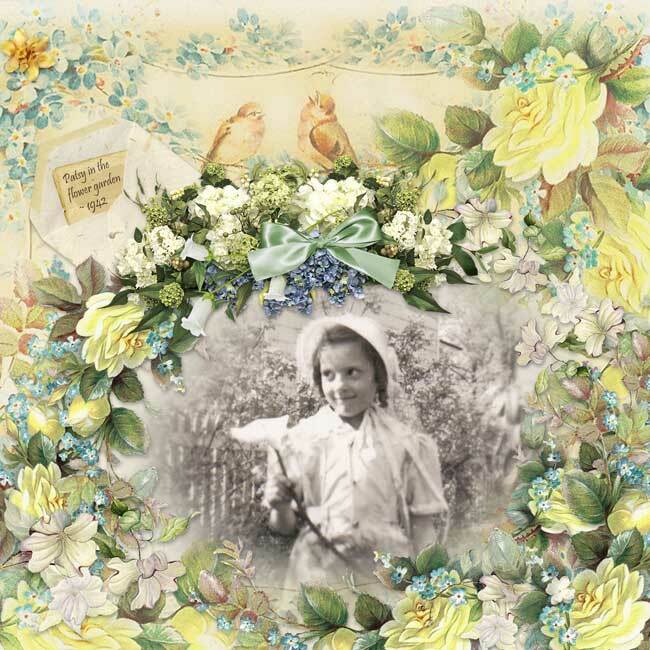 Arlene has done some wonderful things with this Vintage Beauty kit so far that she's kindly shared - THANK YOU ARLENE! Here's another of the beautiful clusters she has for you ... Enjoy! Our wonderful CT Kimberly has also been having some fun with this kit - she was kind enough to share this lovely layout that she has also made into a QP for you to download below ... and remember - the kit is on sale for a few more days in the store for only $1.80! 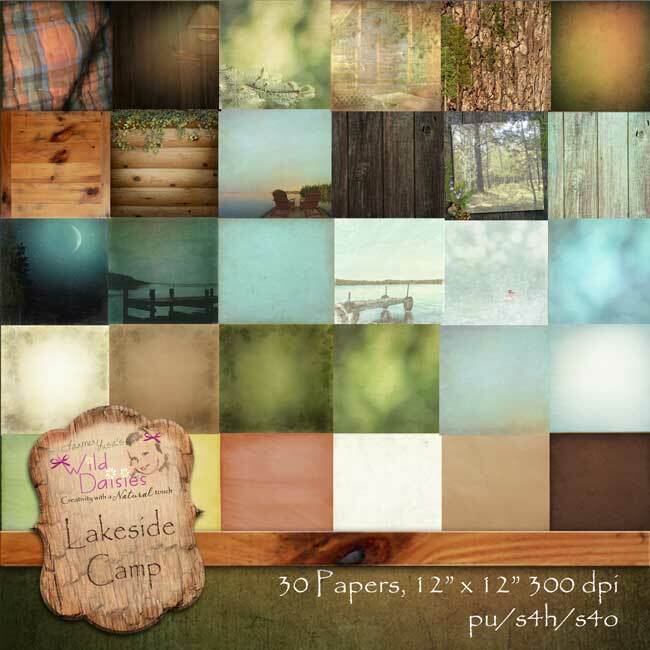 160 elements and 21 backgrounds, as well as a QP set sold separately on sale for only $1.20! Get it HERE while you can at this great price! Hello, and Happy Monday! It's a beautiful day in THIS neighborhood - about as perfect as a day can be. Off work today, I had a chance to clean house in my house as well as on my computer. We're also having freshly picked carrots and tomatoes for supper along with a turkey ... you're welcome to some if you make it here in time. My lovely daughter Melany came to visit for a few hours too, which made the day even better. 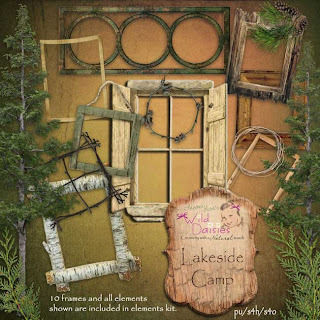 Speaking of "cleaning house," I found some more freebies that I forgot I had made, and there's a little one from the Lakeside Camp collection that I thought I'd share. Many times I don't go back and use the kits I've made previously, I'm too busy concentrating on what the next one will be. This one was really fun to see again, and it sure makes me want to get busy scrapping my own pictures! We have lots of camping and outdoors ones from when I was younger that I'd love to get done with this kit! Well, enough blabbering for now, I'll just sit back and enjoy the smell of turkey cooking along with the fresh air blowing in the windows! Have a great evening! 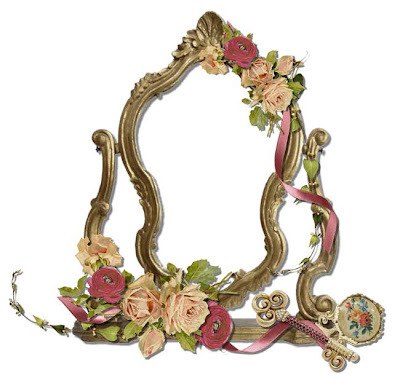 Vintage Beauty - FREEBIE cluster from Arlene! 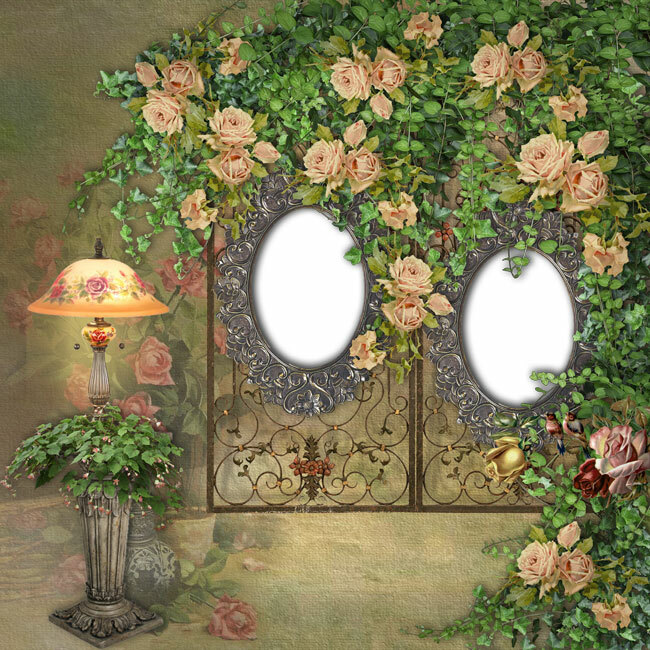 Arlene has used her wonderful talents and is going to share with us once again! She made some absolutely gorgeous clusters from the new Vintage Beauty kit available at the store right now for only $1.80 during our 40% off sale! Be sure to check it out! 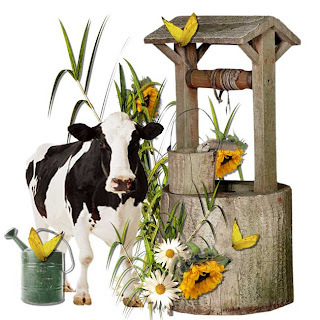 The kit previews are in a posting from yesterday - if you haven't seen them be sure to take a look - you're sure to find something you like and can use! Here's Arlene's lovely gift for us all ... click on preview for download link. 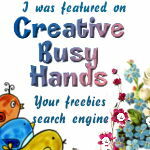 Be sure to check out all of the other freebies in recent postings - there are a ton of them scheduled for this weekend! Lakeside Camp - another FREEBIE QP! 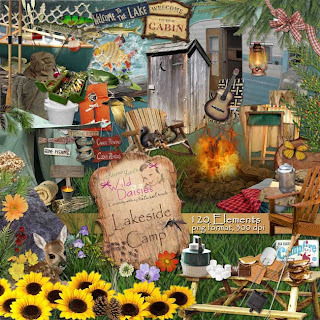 Remember that lovely trip you made ... camping by the lake? Or to your lake cabin? 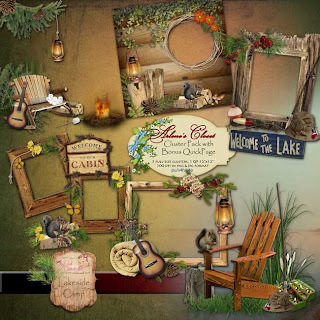 Here's the perfect kit to help you showcase your lovely photos and memories, as well as a FREE QuickPage to get you started! 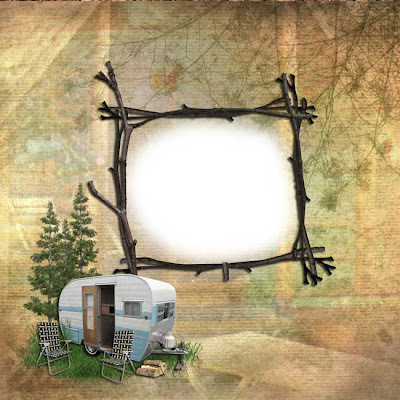 You'll find a little bit of nostalgia in the slightly vintage look to the camping and fishing elements, and the warm, outdoorsy backgrounds. Sold separately, you can just get the elements and frames, or you can just get the backgrounds pack - or both of course! - to suit your particular needs. You can get the elements/frames kit (120 items!) for only $1.50 and the backgrounds pack (30 pages!) for only 1.20 in the store right now during our 40% off sale! What a deal! 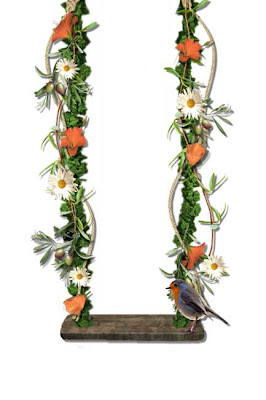 Click HERE for direct link to store. 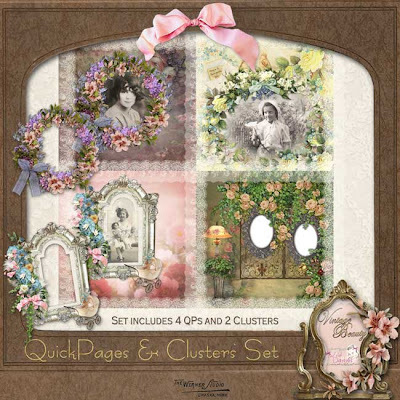 If you're looking for something to get you started, you can check out the cluster pack that Arlene has made for you for only 1.20 also - it contains 5 beautiful clusters and a bonus free QuickPage! Thanks for visiting! Be sure to check out other current posts for MORE freebies this weekend! And ... another surprise freebie from Arlene! Click on preview for download link. Thanks again for visiting - be sure to check out other recent posts for more freebies this weekend! CU Packages from Arlene and FREEBIES! Have you seen the new Commercial Use products available from Arlene? They're awesome! 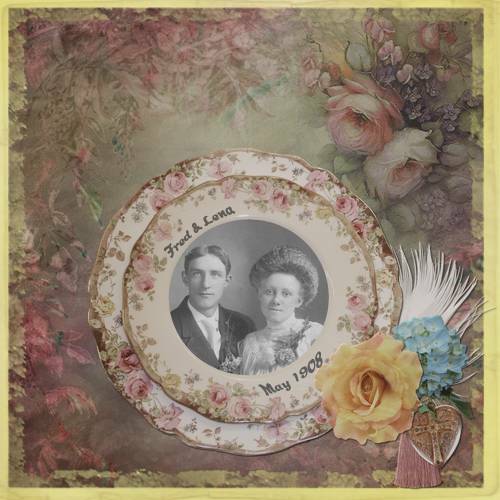 I have featured several in my new kits - you should check them out! Anyone can use them for personal, scrap for hire, scrap for others, and commercial use. Here's a sample of the new kits, and a free CU item for you to enjoy! 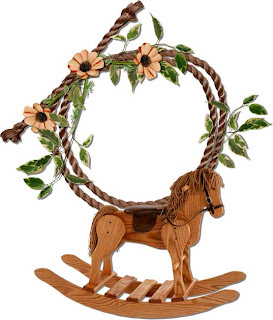 And here's a lovely CU freebie for you - THANK YOU ARLENE!!! Just right click on item and save to your computer. Check other recent posts for more freebies being given away this weekend! 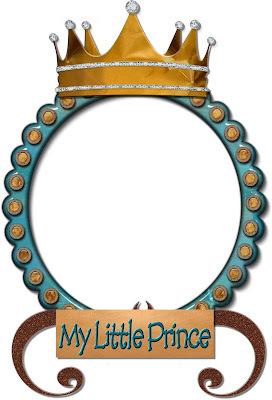 A cute FREEBIE from Arlene for your LITTLE PRINCE! 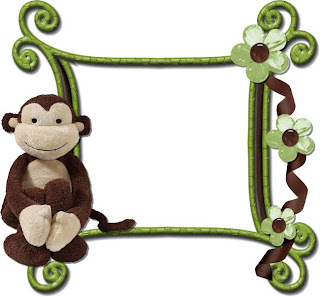 Don't we all know a "little monkey" somewhere in our lives, past or present? What a cute way to show off a photo of your little sweetie? Arlene's clusters are always a great way to bring a smile to any face - here's another one she's given us from the Little Prince collection. 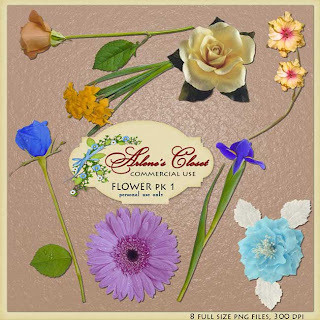 In case you like this cluster, you can get the whole kit for only $1.50 during the 40% off sale RIGHT NOW in the store! Click HERE for direct link. 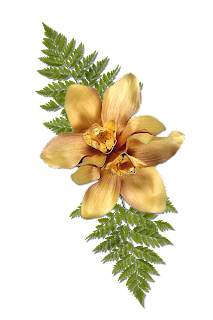 Thanks for visiting - be sure to check for more freebies on other current postings! There's a lot of free stuff being listed this weekend! 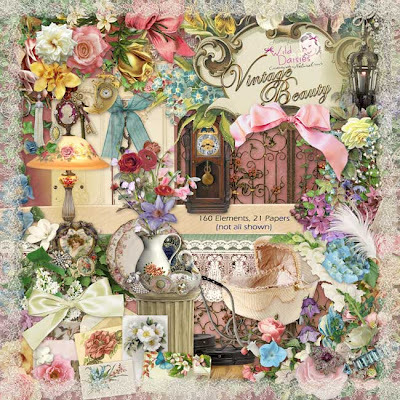 New Kit - Vintage Beauty - and FREEBIE CLUSTER! This next one I just can't decide which pictures to use yet! The whole kit contains 21 custom designed, one-of-a-kind papers that you won't find in any other kit except the Somewhere in Time Blog Train mini kit I added to this. 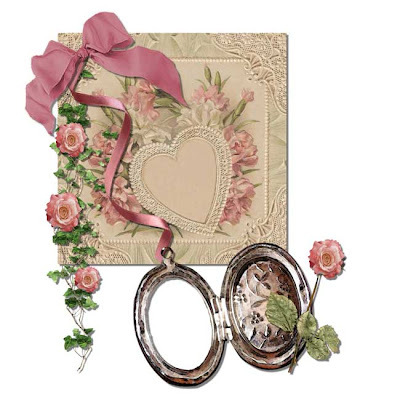 There are 160 elements, so there's something to suit just about any vintage scrapping need! 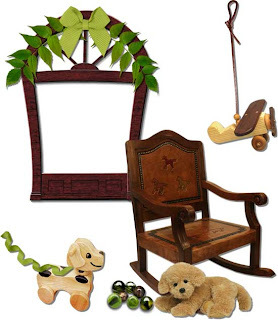 Remember - most items in the store are still at 40% off - you can get this whole kit for only $1.80! I made the layouts into some quickpages and two clusters that are for sale separately at the store - get them quick while the 40% off sale is still on! Here's a little frame cluster for your patience in reading this far! THANK YOU for visiting, and have a great weekend - I hope you can get outside and enjoy some beautiful Autumn-like weather! Be sure to check other current / newer posts for lots more freebies coming your way! PSD CHALLENGE with FREEBIE and FREE COLLAB KIT! 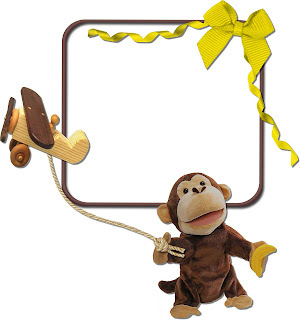 INSTRUCTIONS: Place this item where ever you wish in your layout - right click on image and choose "save to my computer" to download piece. Be sure to go back to the Treasure Map, to continue along the right path! CU Halloween Freebie from Arlene - and NEW CU SET OF CLUSTERS! Good morning! I hope you're having a great Tuesday so far - it's just started in my part of the world, and it's just gloroius so far. I love living on a farm - sometimes I just don't even want to go anywhere because it's so peaceful and beautiful here. With Autumn on the way, the leaves are starting to change colors, there's a little bit of crispness in the air, the crops are anxious to be harvested, and one of my favorite farm cats is .... pregnant again. NOT good timing for this little mama! From the looks of things, we should see some little kitties again in a few weeks. I have a feeling that they'll be living in Larry's heated shop for a while this year ... Minnesota winters are a little too cold for babies outside! 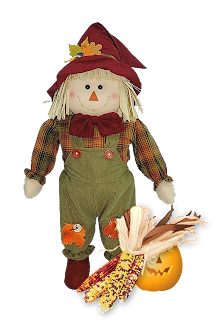 With Autumn quickly approaching what little one isn't aware that Halloween is also on the horizon? My lovely friend Arlene is thinking ahead and has a very timely treat for you - a free CU Halloween cluster! This is from one of her new CU kits that are available in the store, which I'm sure you'll love! 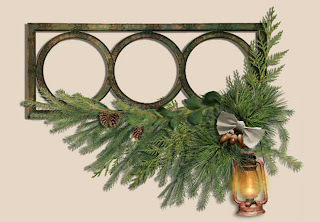 It's not easy to find such beautiful elements available for commercial use at such a reasonable price - she's building an impressive stock of lovely items ... be sure to check them out HERE. 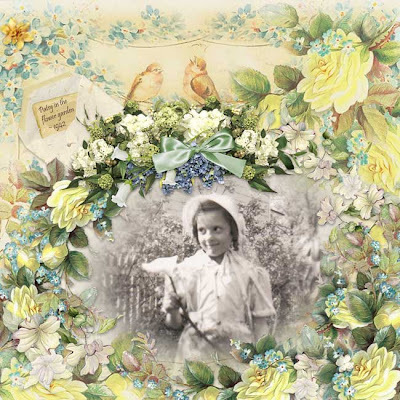 Arlene was kind enough to share an EXTRA from each kit to give to you as a freebie this week - we'll feature one each day. 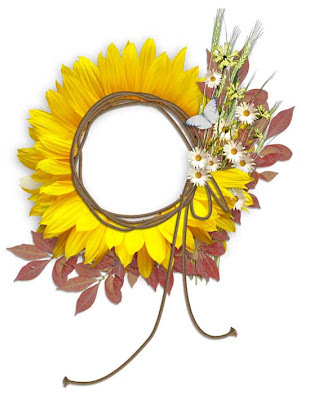 The first is from the lovely Autumn Basket Collection ... gorgeous! Click on image for download link.